The full St. John's Calendar can be viewed <HERE>. Many thanks to all who have made a pledge to the Parish of St. Andrew & St. John for 2018. Everything that we do to serve God and our community happens because of you and your commitment of time, talent, and treasure. We're almost at the end of the calendar year and there is still time to either pledge and/or make a tax-deductible donation to our parish. Your support is deeply appreciated! Wishing you a blessed and happy New Year. Meditation on Tuesdays at 4:00 at St. John's. Please join us for 30 minutes of shared silence and "prayer of the heart," an ancient meditative practice of the Christian tradition. All are welcome! We meditate sitting on chairs, though if you prefer to sit on the floor, feel free to bring a mat or cushion. If you are new to meditation, have questions or concerns, or would like more information, please contact Mother Kathleen. 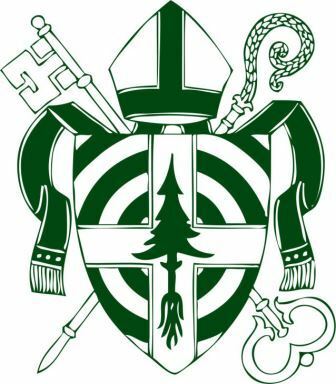 As a Parish of the Diocese of Maine, we are part of a church family that extends from Kittery to Fort Kent, and connects us to the rest of the Episcopal Church and the worldwide Anglican Communion. We share ministry with our Bishop and with every worshipping community. If you are not subscribed to the Diocesan twice monthly email newsletter, the DioLog, please click [here] to subscribe. If you are subscribed, don't forget to open it and read it every time! There is a lot going on in every corner of the Diocese, and you wouldn't want to miss anything! Confidential Prayer Chain: Unlike our published prayer lists, prayer requests that come into the Prayer Chain remain private to the prayer chain itself, which will pray devotedly for one week unless an updated request is made. If you'd like to know more about this or our Pastoral Care Team, please contact our office administrators or Mother Kathleen. Coffee's On! The first and third Tuesday of the month (January 2 and 16). Senior Coffee House has resumed at a new location: YWCA MDI, 36 Mt. Desert Street, Bar Harbor. Bring a friend and enjoy coffee, tea, snacks, and simply catching up with friends while making some new ones. If you need transportation, please call Doreen Willett with Island Connections at 288-4457. The Alcyon Center is situated at the head of Seal Cove. For further information/directions to the center please log on to our website http://www.alcyoncenter.org or contact us at 244-1060, via email at office@alcyoncenter.org or write us at PO Box 40, Seal Cove ME 04674. The Pantry will be open on Sundays, January 7 (12:00-2:00 p.m.) and 21 (12:00-1:00 p.m.) at the Harbor House in Southwest Harbor. Joyce Risser, Robert and Diane Phipps, Frank and Simone Foley, Johannah Camber, Scott Hatcher, Kent Shoemaker, Todd Lear, Anne Degolyer, Marilyn Kitler, Julia Moore Converse, Ray McDonald, Janet Meryweather, Barbara Loveland, Win Short, Joan Preble, Andrea Horner, Nicole Burnett, Karen Pike, Malcolm Hughes, Jeff Weisner, John Cronin, Bob Theriault, George Swanson, and Valeria, our sponsored child from Costa Rica. Give thanks for the life of Gill Schroeder (Floy Ervin's brother), who died Christmas Eve. Keep his family and friends in your prayers. Copyright © 2017 St. Andrew & St. John Episcopal Church, All rights reserved. You are receiving this email because you are a member or friend of St. Andrew & St. John Episcopal Church. Christmas Eve – 4:00 p.m.
Christmas Day – 10:00 a.m. Meditation on Tuesdays at 4:00 at St. John's. Please join us for 30 minutes of shared silence and "prayer of the heart," an ancient meditative practice of the Christian tradition. All are welcome! We meditate sitting on chairs, though if you prefer to sit on the floor, feel free to bring a mat or cushion. If you are new to meditation, have questions or concerns, or would like more information, please contact Mother Kathleen. There will be NO Meditation on December 26th. You are invited to our annual Christmas day dinner. This dinner is especially for parishioners, couples or singles, who might otherwise be alone on Christmas day because their families are dispersed or unavailable. Don't spend Christmas alone. Join us at 1 pm Christmas day for good food and fellowship in the Rectory Common dining room. Ham, turkey and potatoes are provided, while attendees provide side dishes, appetizers or desserts. It's also BYOB. If you are interested, please contact Linda Foster at 288 2720; email linda@foster.net or text at 207 412 9700. Hope you will join us for this event. Advent Book Study, Sundays at 9:00 a.m.
What started out as a record setting month on the first Sunday of distribution, ended with a 5.7% decrease in the number of vouchers issued for the month. $16,180 worth of vouchers were distributed to 202 households and a total of 385 neighbors receiving help. There were 10 new households registered comprised of 26 adults and children. And, as has been our custom the past five years, a $25 Christmas voucher was given to each household for an additional $5,050 in food assistance this month. While our voucher distribution numbers lagged behind last December, the commitment and generosity of our neighbor-supporters from around the Island and the country moved ahead of last season. Direct public support of our work increased through December 12 compared to last year, same date. Donations from individuals is up by a little over $5,000 as of December 12. This is good news for our prospects to be able to meet the Pantry commitments through April 2018. It is also encouraging that the work of the Pantry continues to draw a caring response from our neighbors far-and-near. The Westside Food Pantry continues to share in the public's confidence and a trusted way to put caring into action. Furthermore, one feature of the Westside Food Pantry that continues to shine is the spirit of caring and hospitality of our corps of neighbors-helping-neighbors--YOU the volunteers who are present to our neighbors as they present their need for food security each month. I want to thank as always the December 17 volunteers: Jayne Ashworth, Ken Brookes, Ellen Brookes, Nancy Cochran, Gloria Higgins, Judith Cox, Carol Nelson, and Dean Henry. And finally, I want to wish everyone blessings, joy, and peace this season of holidays that we all share in as neighbors of the Westside. Here is my present to you that will warm your hearts this season in the form of a short story. (I know what warms your hearts!) A woman arrived early Sunday and asked to speak to me. She and her family had received help from the Pantry two years ago. They had not needed our assistance these past two years, but last week her family suffered an emergency that had placed them in a desperate situation and necessitated a move. The situation left them without any cash and virtually no food in their new residence. She knew that she needed identification and documentation to register for vouchers, but in the hurry of the move much of what she needed was packed away and not retrievable in time to get help this last Sunday in December. With tears running down her cheeks she asked if we could make an exception and give her vouchers today so that they could get food into the house. The one who's birth we celebrate this season always admonished us: "If someone is hungry, feed them." It is our practice not to insist on first knowing the facts of a situation and insisting on keeping the letter of the regulation, and then responding, right? Of course not, and as this tearful mother of 5 children and a husband sat down with Jayne and Ellen to register for vouchers, she was fed. Simple as that. Joyce Risser, Robert and Diane Phipps, Gill Schroeder, Frank and Simone Foley, Johannah Camber, Scott Hatcher, Kent Shoemaker, Todd Lear, Anne Degolyer, Marilyn Kitler, Julia Moore Converse, Ray McDonald, Janet Meryweather, Barbara Loveland, Win Short, Joan Preble, Andrea Horner, Nicole Burnett, Karen Pike, Malcolm Hughes, Jeff Weisner, John Cronin, Bob Theriault, George Swanson, and Valeria, our sponsored child from Costa Rica. Give thanks for the life of Bill Voorhies who died December 14 in Connecticut. Keep his family and friends in your prayers. Bill was the organist at St. Andrew & St. John from 2004-2009.